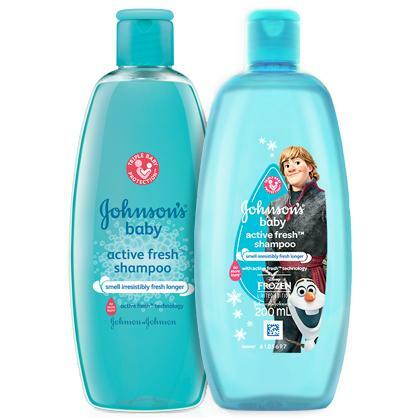 That’s why we have designed JOHNSON’S® Baby ACTIVE FRESH™ SHAMPOO for long lasting freshness. This mild, easy lather and non-irritating formula is infused with ACTIVE FRESH™ technology to help prevent sweat turning smelly while it deeply cleanses hair and scalp, so your little one stays fresh and smells irresistible even after playtime. Wet baby's hair with warm water, applies shampoo, gently lather, rinse, and snuggle.